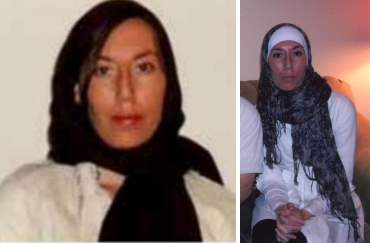 A former US Air Force counterintelligence agent with access to top secret national defense information was charged with spying for Iran after she defected to the Islamic Republic and helped it target her former colleagues, according to a seven-count indictment made public on Wednesday (see below). According to prosecutors, Monica Elfriede Witt a.k.a. Fatemah Zahra, a.k.a. Narges Witt gave the Iranians the code name and mission of a secret Pentagon program which involved American intelligence operations, reports the New York Times. According to the indictment, she was working with members of Iran’s Islamic Revolutionary Guard Corps. The elite paramilitary group is known to carry out terrorist operations around the globe and has been sanctioned by the American government. Witt conducted research "for the purpose of creating target packages against U.S. counterintelligence agents, and did create such packages in order to enable the Government of Iran to target U.S. counterintelligence agents," alleges the indictment, which adds that she filmed anti-American propaganda in Iran. Witt worked for the Air Force between 1997 and 2008, before working as a contractor. She was deployed to locations throughout the Middle East as a counterintelligence officer, and had access to ongoing counterintelligence operations - including the real names of intelligence assets and the identities of American officials connected to their recruitment. Witt is also believed to have been part of a "cyber conspiracy," which "did obtain computer and online infrastructure, including virtual private servers, email accounts, and social media accounts, and used htis infrastructure to communicate with each other, to contact targets, and to transmit spearphishing emails and malware." She was last believed to be in either Afghanistan or Tajikistan in July 2013, where she was working as an English teacher, according to the FBI. Witt may have also traveled to the United Arab Emirates or Iran - where she had previously traveled on at least two other occasions, according to the agency.